You know how in airports there are those moving sidewalks that extend through long corridors between gates? I love them. They help me move quicker and more efficiently, and I get to my destination way faster than a normal hallway. But have you noticed there are always people who choose to take the slower path? Maybe they’re afraid of the increased momentum or maybe they’re not quite ready to get to where they’re headed. Maybe there’s some fear they have about tripping on the conveyor belt, or they’re afraid they might fly by a random stop they want to check out that has nothing to do with where they’re going. Whenever I scoot by those people as I ride the moving sidewalk, I always wonder why anyone would choose the slower route, especially when they obviously already have a clear focus on their ultimate destination. I mean, why else would they be at the airport? It doesn’t make sense to me. I always opt for the faster, more direct route. Even if I choose to stand still on the conveyor belt, it’s satisfying knowing that I’m still moving faster than the folks who chose to walk on the solid floor. I often use this experience as a metaphor for entrepreneurs. The people who invest in themselves through taking classes or joining mastermind groups are like the people who jump on the moving sidewalk to speed up their journey toward their destination. Even if they step aside and just ride the sidewalk to the end, they’re still making their way toward their goal more effectively than business owners who don’t get the added boost of support from mentorship and training. As an entrepreneur, you already know your ultimate goal is business success, no matter how you define it. So, why wouldn’t you take advantage of the support systems around you that can get you there faster? Now, once you take that leap into mentorships and masterminds and other accelerated paths toward your goal, it’s normal to be thrown off balance from time to time by the faster speed. And that is totally okay. You can easily pull over to the right so others can pass, and take a breath while you adjust for a moment. You’ll still be moving faster than if you’d chosen to walk next to the conveyor belt and not on it. 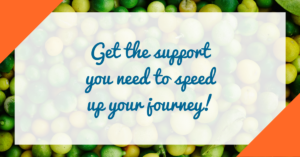 Plus, when you choose to get the support you need to speed up your journey, you can rest assured that whenever you do trip, someone will always be there to catch you and set you right again. 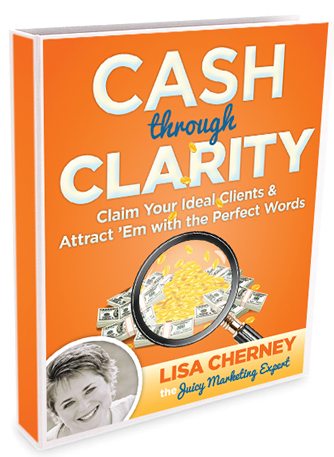 If you’re ready to jump on the fast path toward your success, check out our popular Cash Through Clarity Training & Coaching program. Get help identifying your Ideal Clients, find the perfect words for your marketing, and discover your Marketing Strategy Sweet Spot™. Plus, take advantage of our new free bonus, “The Packaging Your Genius Formula” video training—a $2000 value! Learn more at www.CashThroughClarity.com. Categories: Conscious Business, conscious living, entrepreneursTags: Lisa CherneyBookmark the permalink.